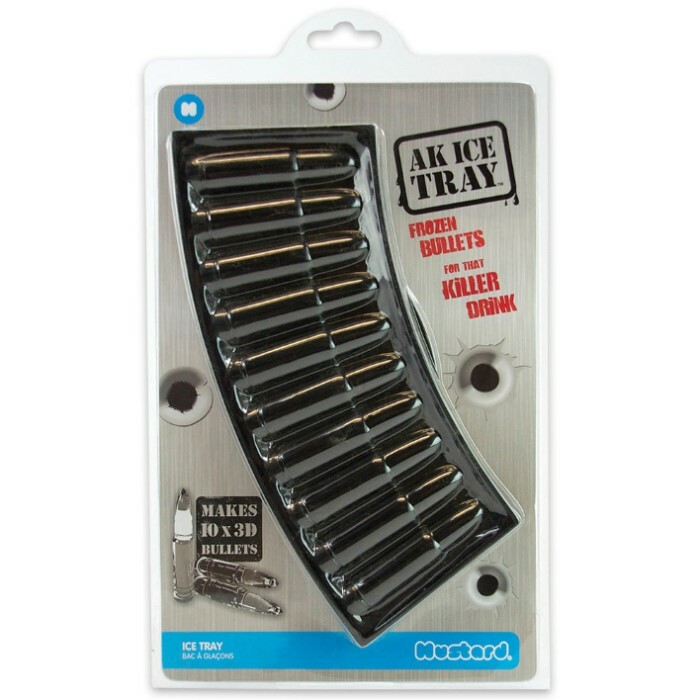 AK Frozen Bullets Ice Tray | BUDK.com - Knives & Swords At The Lowest Prices! 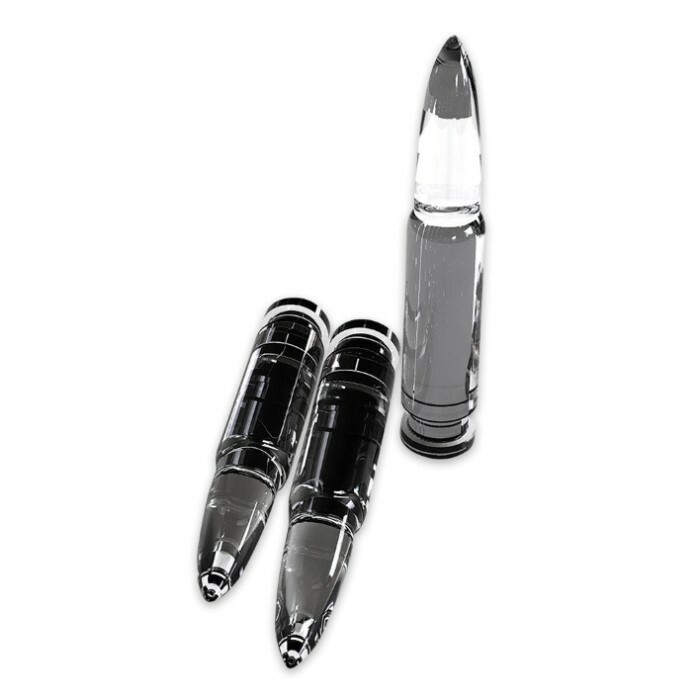 Make a drink that has “Bam!” with the AK Ice Tray Frozen Bullets! 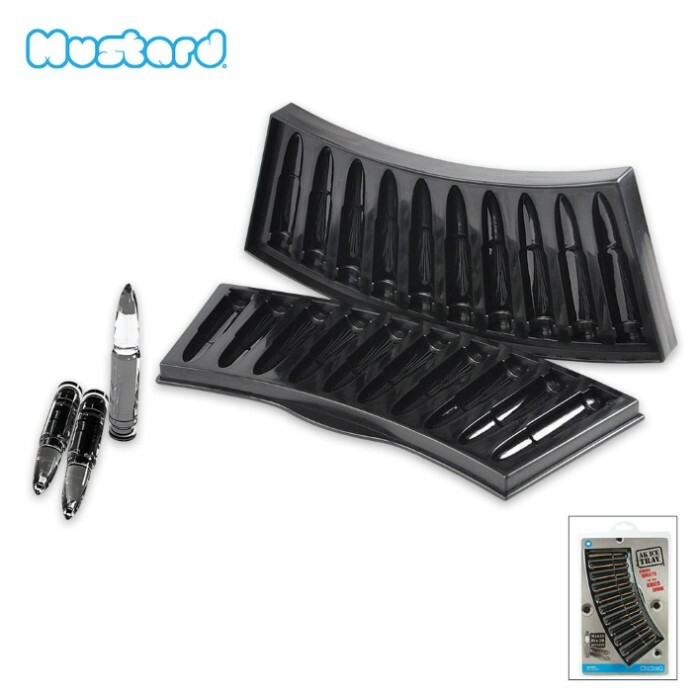 The 8 1/4”x3 3/4”x3/4” food grade plastic tray makes 3D bullet shaped ice cubes. It will make ten cubes at once. Freshen up your beverage with a round from the AK Ice tray.